Angel lore is a rabidly popular inspirational genre, and it's easy to understand why. Evidence that benevolent beings are watching our every move, ready to personally intervene to save us from an impending auto accident or from walking off a balcony or from whatever disaster waits around the corner makes for comforting and compelling reading. So I kind of hate to be a wet blanket here, but it does seem like bringing a degree of wet-blanket-ness to the realm of the supernatural is one of my higher callings. Don't get me wrong. I am not a skeptic or a debunker. I also don't think that these experiences are demonic or evil. But I do believe that better critical thinking can be applied to supernatural experiences and personal anecdotes without ruining or debunking them, and that by asking critical questions about such experiences we can learn about what is really going on. 1) Many angelic encounters seem very strange, and involve very human-like entities. 2) These sorts of encounters do not fit in well with spiritual and historical writings about what angels are or what they do. 3) In spite of the positive effects these strange encounters seem to have on the people who experience them, they retain a disturbing or surreal quality that is often downplayed in favor of the pat angelic explanation. What is an angel anyway? That's not an easy question to answer. The history of angels is long and complex and many people have written volumes in an effort to answer this very question. So what follows here is a very condensed history of angels, which should (I hope) impart a general sense of what they are or have been down through thousands and thousands of years. Angels as winged intermediaries between man and God, man and the spirit world, or man and the gods and goddesses, can be traced back to at least 5,000 B.C., and probably farther back than even that. Shamanism, widely recognized by comparative religion scholars as one of the world's oldest forms of spiritual practice, often incorporates birds and other winged creatures into its symbolism of the journey the shaman makes from this world into the other. 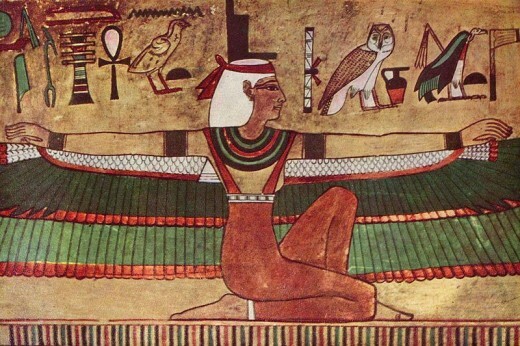 The ancient goddesses who predate organized modern religions by thousands of years were either winged and/or were accompanied by winged creatures. The Burney Relief, a clay tablet from ancient Babylonia circa 1800 to 1750 BCE shows the winged Goddess Ishtar with bird-like feet, flanked by two large owls and standing atop seated lions. 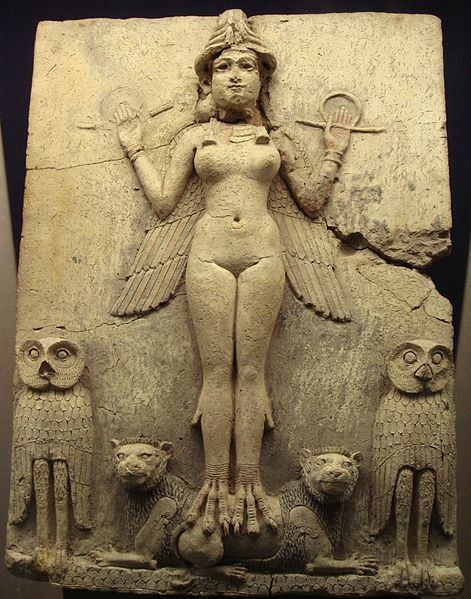 Scholars are still arguing about whether the Burney Relief (also called the Queen of the Night relief) depicts the goddess Ishtar, an early version of the goddess Lillith, or the goddess Ereshkegal (Ishtar/Inanna's sister), but one thing is certain: This was no fluffy Valentine decoration. The really bad sci-fi movie "The Fourth Kind" exploits this connection to the comical max, making the aliens owl-messengers of the Sumerian goddess thundering through time into the present, scaring the bejesus out of ordinary Alaskans while brandishing brilliant lights, deafening Sumerian incantations, divine madness, and of course, abductions. Strictly speaking, angels in the Semitic religious traditions started out as powerful beings of light not to be trivialized. Neither male nor female, they were fierce and completely disincarnate. For this reason and many others, angels in the Bible are neither fluffy nor cherubic nor sweet. They are mostly solar representations of the warring patriarchal people their one God protected and destroyed at will. To be visited by an angel was to be so blown away by brilliance, power, and thunderous fear that you might not ever recover from the event. The experience was not an inspirational anecdote to share when people open up their ghost story repertoire and start talking about their visit from Uncle Clem just after he died. A real angelic visit would never fit on a Hallmark card. A biblical angelic visit would evaporate a Hallmark card. 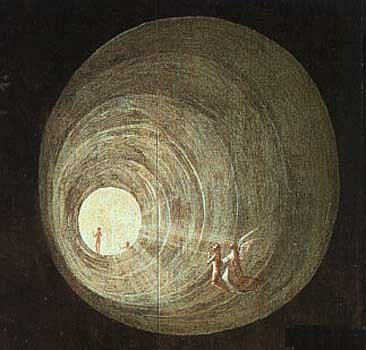 Angelic visitations were closer to what psychodynamic philosopher Rudolph Otto called a mysterium tremendum et fascinans --a tremendous and fascinating mystery; not a mystery meant to be solved, but an enduring eternal mystery, a thing beyond the capacity of human knowledge, defying category or profane representation. When the Angel of the Lord visits the Virgin Mary for instance, she falls to her knees and whispers "Let it be." It isn't just religious propriety that makes her react this way. 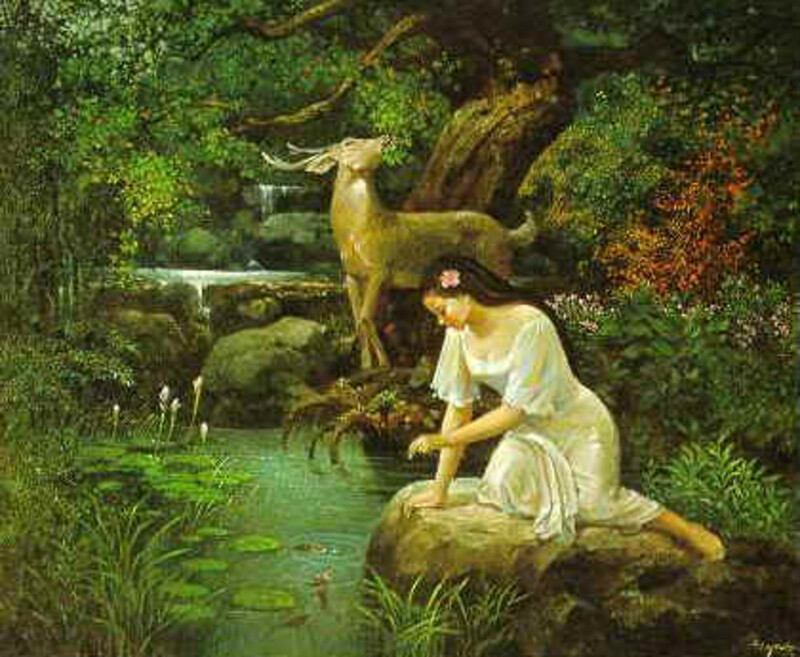 She is truly terrified, emotionally overcome, and deeply humbled in the presence of the Divine ineffable. Today the term 'fear of the Lord' is often taken as a negative phrase, as if it means God can somehow coerce people into this or that through fear. 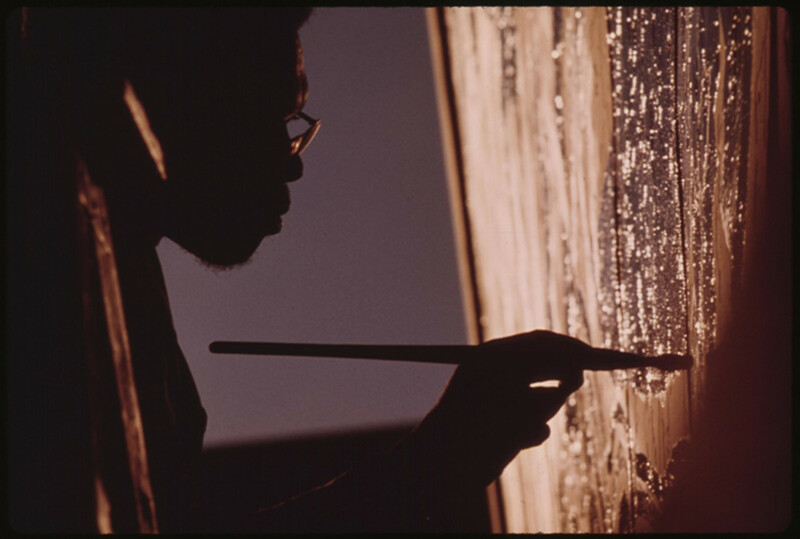 But closer to its true meaning is the concept of profound awe, so profound it leaves a mere human trembling. Also, before they were given wings and sanitized for public consumption, angels were known to be fairly randy creatures. When they appear unexpected at his door, Lot offers up his daughters to protect the men from the visitors' legendary sexual appetites. Wings and satin banners came much later, and even later than that, during the Victorian era, angels were 'cleaned up' even more extremely, until their images were so mild as to be appropriate decoration for greeting cards and jewelry dishes. 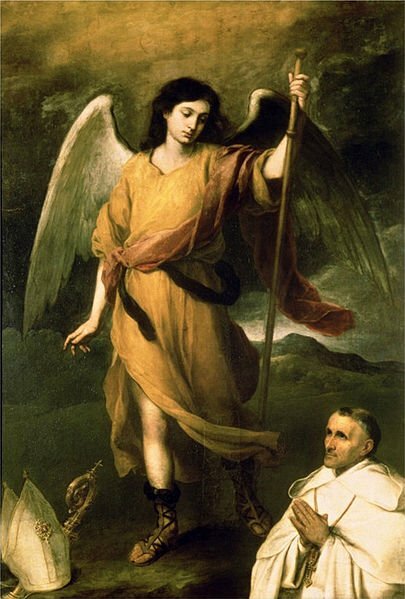 Today's angels seem like warm, supernatural teddy bears with not a whole lot to do with their time besides worry about the minutiae of our daily lives and cheer us up in whatever small way they can, reminding us that the God of Abraham is really a pretty nice guy deep down. Clearly, over the course of many millennia, something has been lost or confused. Maybe quite a few somethings, actually. For the purposes of this essay, I am thinking of a very specific type of supernatural experience that is often reported as angelic, but which contains the three features mentioned in the first section. A truck driver who has recently been through a difficult divorce is driving through a snowstorm at night in rural Canada. He notices a truck behind him, and soon the other driver calls him on the CB and asks for help. He guides the driver to the nearest gas station/diner, where the two of them stop and share a cup of coffee and the lost driver offers him encouragement and support. As he climbs back in his truck to lead to lost driver to the next town, he looks in his rearview mirror and no truck is there. There was no time for the truck to pull out, no tracks in the snow, nothing. He calls on the CB and the lost driver (who is now out of sight) says he no longer needs help, he has "done what he came here to do." The driver with the bad divorce takes this as an angelic intervention. A man gets in his car and is about to go to work when he notices an old lady standing behind his car in the street. He can't back up because she is just standing their staring at him. Oddly he just sits there looking back at her. After a moment she turns and walks robotically down an alley and he backs up and pulls out, only to see the cars just ahead of him involved in a deadly crash. He takes her appearance, creepy as it is, as angelic intervention that saved him from being in that crash. A woman who has had a recent UFO encounter has a nightmare about alien beings. During the nightmare, she finds herself running away through downtown alleys and runs smack into a bum who asks her if she is OK. The next day, in waking life, she is checking out some books at the public library when someone taps her shoulder. It's the bum from the dream. "Are you OK?" He asks. "I was worried about you last night." She sees him one more time, two years later, while on her lunch break from work at a mall restaurant. He walks up to her and says,"Are you OK now? You look much better." Then he walks away. She jumps up to follow but he is nowhere to be seen and there is nowhere for him to have disappeared to. A woman is in a horrible car accident out in the country but is still conscious and trapped in her car. She calls 911 on her cell phone, and as she is calling a man in a dated suit shows up, smiles, and helps pull her out of the car onto the pavement. He walks away and disappears into a cornfield. When the ambulance arrives they say there is no man and have no idea how she was able to exit her car. She takes this as an angelic intervention. 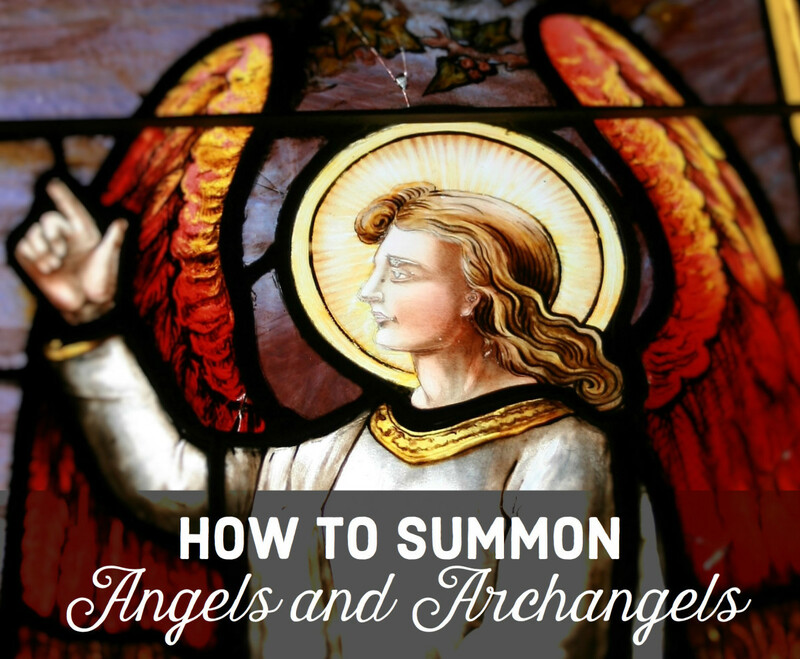 What all these strange angel encounters have in common is that the angels involved seem very human and not a bit angelic in the traditional sense. In some of the encounters there are implied connections to UFO experiences and aliens. And in all of the experiences there is a creepiness factor that is downplayed significantly in favor of the benevolent angel explanation, which I confess I find preferable to anything creepy, and yet I also don't think the angel explanation is very convincing. In preparing to write this, I looked around You Tube for first person video accounts, but all I could find was conspiracy stuff or extreme fundamentalist Christian stuff warning that angels are really demons and aliens are really demons. Basically, if you don't understand something, it's a demon or a conspiracy. What seems more likely to me is that our collective understanding of the supernatural has become so atrophied over time as to be almost useless today. In pre-religious times, it was understood that the number and kind of beings and creatures that inhabit the space between this world and the next were varied and many. Also, not every supernatural being was all good or all bad. Some were all good, some were all bad, but most were some combination of both, depending on the circumstance and their own motives and personalities. Some of these beings are ghosts. The old woman behind the man's car seemed to especially fit this category better than an angel. 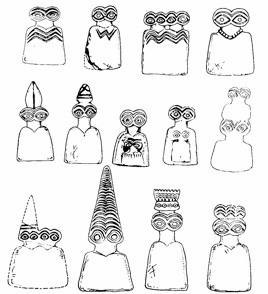 Some of these beings are 'aliens'. Some ufologists and ufo religionists think we know what gray aliens are but I personally think we don't. I also think that shapeshifting and manipulating our perception of reality are two of their most salient qualities, and the overlap with alien encounters and angel encounters is significant enough to warrant investigation. Some of these beings are guides. In the old goddess worshipping societies, every person was assigned a guardian spirit, which, during the evolution of Christianity mutated into a 'guardian angel'. This may not be the best understanding of what is going on. It would be great if we could expand our understanding of human experience and other realms, and stop reducing everything to a religious greeting card and or a misfiring brain. That is what I spend most of my time advocating. Maybe, someday, it will happen. Why do everytime angels appear to humans the first thing they say is "Don't be afraid"? Its because angels are monstrous creatures. Great hub, voted up. Excellent article! I especially agree with your views regarding grays - I think I may have met some of these entities several times in my life, and they most certainly do have a knack for bending (and even breaking) the laws of physics as we understand them. Perhaps guides, angels, and "aliens" are working together to move humankind in a more positive direction. We most certainly could use the help! Rated up, interesting, and useful. Thanks for taking the time to comment, yeagerinvestments! Great stories and history about this subject. I have always been fascinated with the spirit world and people that have encountered it. Thanks for reading and sharing your story Robbie! I think those kinds of experiences are more common than most people realize because so many people are afraid to talk about them. You might be interested in my NDE hub too. Thank you so much for sharing. For a short piece you really packed in a ton of information! I've had experiences all my life that most would call alien abductions, but about a year ago I had an experience that was pure living sentient energy being. Whatever you may call it, it rocked my whole world. A being of pure, golden- hued energy took me in an embrace- a hug if you will, and yanked me right out of my body and into... well somewhere else. It was the most beautiful and connected feeling I have ever had. I think I was in nirvana, truly, and I havenever been there same. If I could go there now, forever, even if it meant death to this physical body I'd do it in a heartbeat. And that's saying something cuz I really love life. But he showed me another more vibrant life that I think it's pure, eternal energy and sheer bliss. BTW I'm not Christian, so an angel is the last thing I ever expected to see. Thanks for the forum. I've been dying to tell SOMEONE. Thanks cryptid! That's funny, because when people ask me what I believe I always say I believe everything. So you believe anything, I believe everything, and we know that out there there is ...um, SOMEthing! lol! 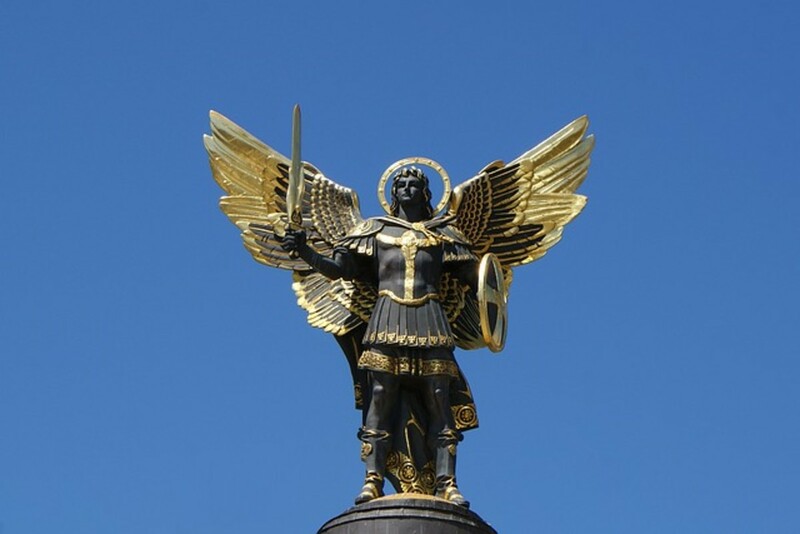 Angels are one of things that people really, really want to see, and I can't help but think that has influenced many "first hand" accounts, not only today but throughout history. That said, do I believe they could be real? Sure, but then again I believe anything. :-) But I also believe it's important to approach the fantastic with a level head as well as an open mind. Nice Hub! Intriguing CR! Just for fun. Take into account that the concious human mind does it's best to apply identifiable form to things it is not familiar with. Interesting that most angel forms in most cases fit the familiar dogmatic beliefs of the individual who experiences them. Hmmm, that has potential to mean a lot of different things about different aspects of the human experience. Thanks Seeker7! I'm persuaded about the guides explanation too. At least for some of this stuff. Thanks for your comment! 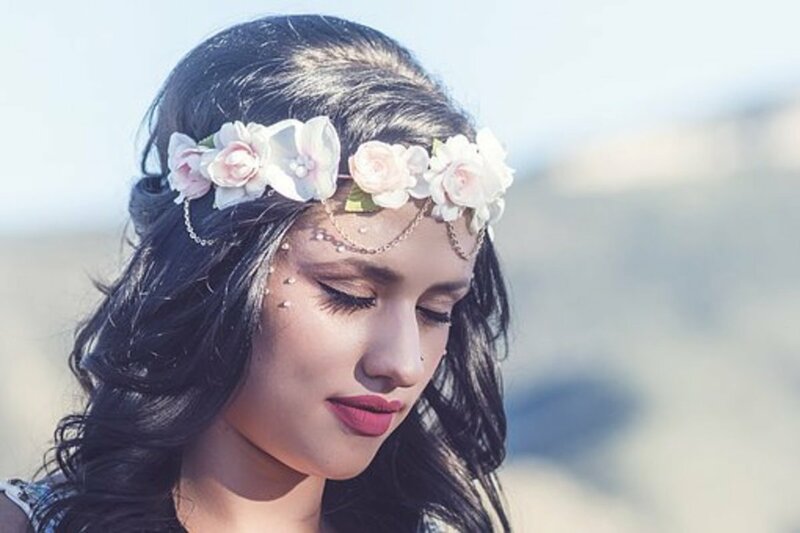 I agree with Kitty that the experiences I've had I feel are 'guides' rather than angels. 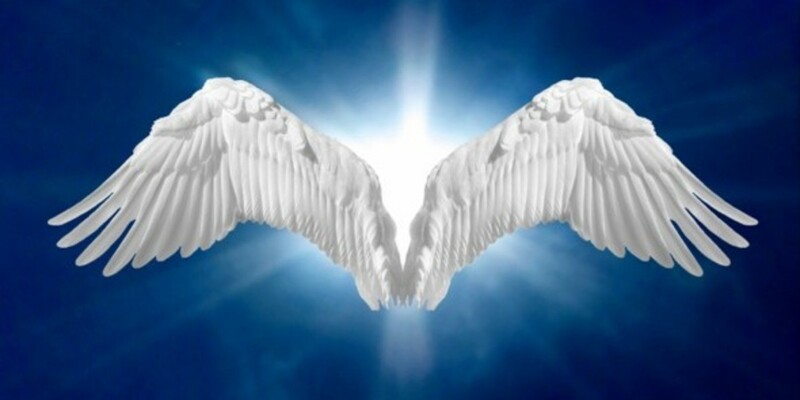 Having studied the Kabbalah some time ago my understanding of angels is that of an energy form with consciousness that are part of a super consciousness that envelopes everything. My tutor of the Kabblah didn't really dwell on the 'wings' or anything else, except to say that wings were basically a symbolism for the spirit or the soul or transcending consciousness. I really enjoyed this hub - thoroughly absorbing and excellent presentation of ideas! Voted up awesome!! Hi Kitty! Thank you for reading this. Yes, I agree about learning to trust our 'gut' instincts--I have had such a struggle with that. A lot of it is just knowing when to be quiet and knowing when to disclose and discuss. It's so hard to find that middle ground between being afraid of your own mind and heart and getting to where that is your main locus of trust. Writing about this stuff helps me a lot with that. Thank you so much for your positive remarks! The guardian spirit is one theory that I can attest to. I come in contact with different entities and spirits in my dreams, but particularly two pop up frequently...which I believe not to be guardian angels but my guardian spirits or spirit guides, Donalde and Claire. And you're right in saying that it is difficult for people to determine what types of spirits are what anymore because we've been taught that they are certain things...but I think we need to go off of our gut instincts instead of what other people tell us these beings are. Great article! Keep it up! re-$20 per year, I wish! $15-$20 per MONTH per year, on the budget plan...When we moved here it was $72 per month. Now it is $176 and about to go up in May. I know that's lower than some parts of the country, but it's cold comfort to know other people pay way more. How do they do it? Now THERE's a mystery! You are such a good writer, Rookwood, and it is rare to find such good critical and original thought accompanying good writing these days. I love your hubs and am rapidly becoming your most devoted fan.....I scoff at nothing and think that we humans understand very little about the many realms that exist outside of our limited physical understanding. Just what angels are I couldn't tell you, but I don't think they are a simple function of dopamine receptors or other such things. I don't worry too much about it-- I tend to spend more time thinking about paying the light bill-- but I would love to sit down with you over coffee and toss around supernatural concepts someday-- I really would:-) wonderful Hub!!!! It looks more and more like all these supernatural visitors are aspects of the same thing. I like the way you contrast biblical with contemporary visions. I really enjoy reading your hubs on a slow day here at my model home. Makes the time fly.